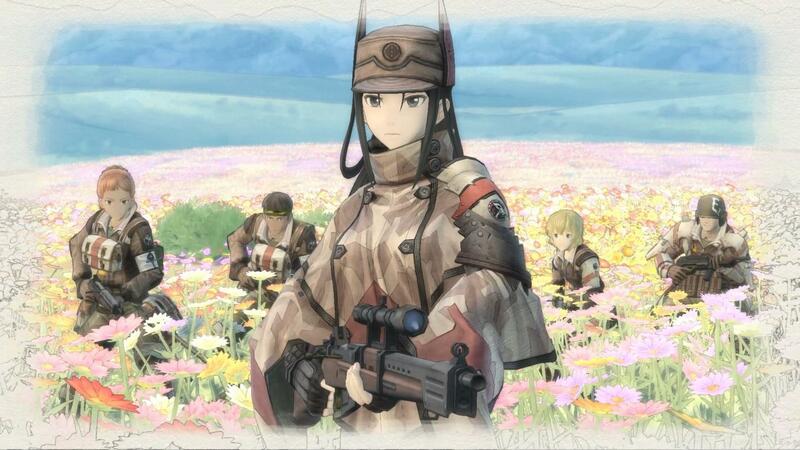 I’ve had some hands-on time with Valkyria Chronicles 4 ahead of the game’s release later this month. The latest entry in the tactical FPS RPG hybrid series promises to go back to its roots. I enlisted over the last few days with the Switch version. While the game certainly has gone back to what made it great, I cannot help but wonder if there has been too little advancement. Or if that’s even an issue. 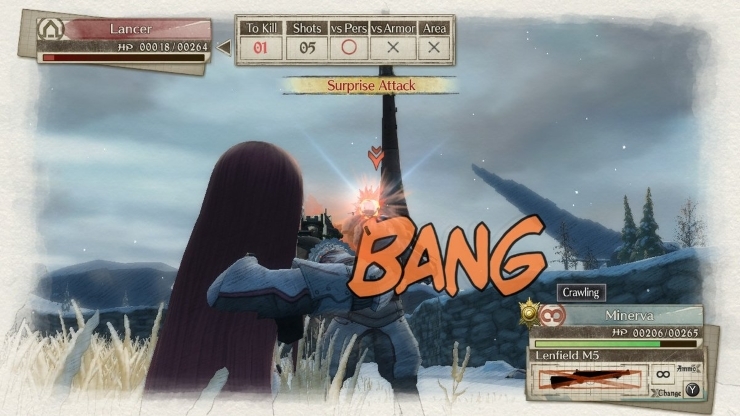 The story runs alongside events in the first Valkyria Chronicles game, during the Second Europan War over the scarcity of Ragnite. While the first game focused on defending the Federation and Gallia, this time you are taking the fight to the invading Empire. Despite an optimistic tutorial, we quickly learn the Empire has taken a third of the Federation’s territory. As they are still gaining momentum, the only choice is Operation Northern Cross. A concentrated last ditch attempt to end the war by taking their capital. The first game was cutting off the beast’s arm. Now you are going for the head with one squad in an assault of millions. Much to my surprise I was not submitted to an overly long flash-back of the main character’s histories. 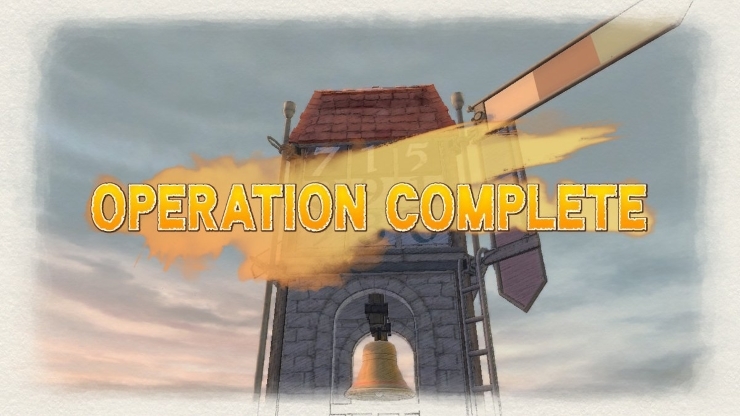 Within moments I was in the tutorial mission, and I slowly gleamed hints about their past as I played the game. While I was grateful for this, I am unsure if I will be subjected to such a thing in the full game. For now it seems like the game was focused on getting me into missions, and relying on telling the story as it happened- with only brief and naturally occurring exposition. 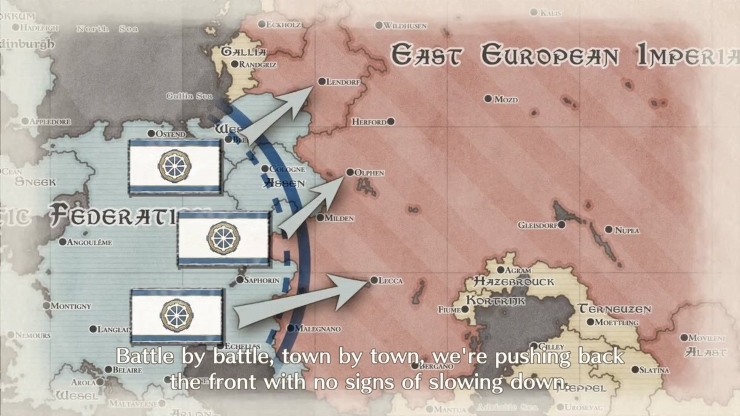 It seems you do not need to know anything about the first Valkyria Chronicles. 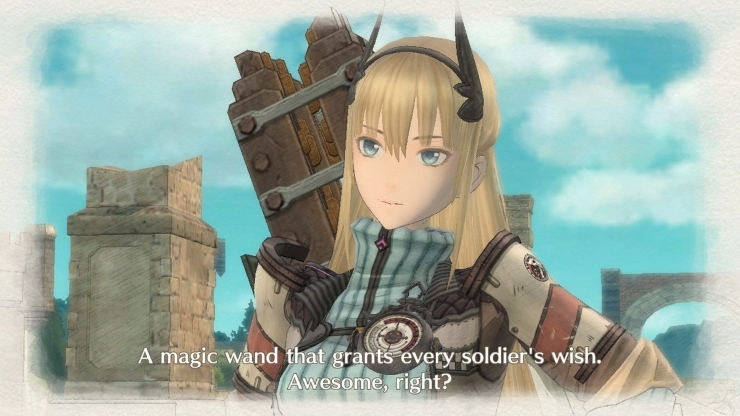 I was clued in on some details that happened in the other game as I played, and the returning glossary informed me about finer details like the history of the Valkyria. The glossary provided fantastic world-building and lore. You can read up on the technology of how the weapons and tanks were built. The back-stories to your characters, and even how their Potentials formed (personality quirks that can help or hinder them under various criteria). If this carries on like the first game did, you should even learn about major enemy characters lives, rather than have them be a faceless monster who did not live outside of war. My only concern at this point is if the major antagonists for this game will one-up the ones in the first game. To keep things spoiler free, some very important people to the Empire spear-headed the invasion. It is easy to forget a character is interesting because of their personality and convictions, not just what they do. That aside, they still have some big shoes to fill and I did not get to see any major antagonists in the game. For those who may wish to know, major female characters are usually introduced by having the camera shot panning up their body or focused on specific parts. Fan service in some media can utterly devastate any chance of a serious story. This is not the case here. While the game does have a serious subject matter, introductions like this never felt jarring. Neither did they lessen the impact of serious moments later. Speaking of characters, the main cast grew on me quicker than that of the first game. Although it is still too early to tell how much I will like them by the end. Claude Wallace seems to be a sensitive soul with a great affinity for nature. From detecting enemies from minor shifts in the wind, to a love of flowers. A love so great that upon realizing flowers were destroyed in a battle, he stated “A commander still has a heart, same as a foot soldier. Rank doesn’t make this any less painful to see.” It felt a little forced to make him come across as humane and having a good heart, but as long as moments such as that are not laid on so thick in the future, I am sure it will be a non-issue. Raz is cocky, confident and gung-ho to the point of boasting immortality. After Claude’s statement on flowers, he laments “Crying over flowers? Even girls have bigger balls these days.” This quickly cemented him as my favourite amongst the main cast. His snark and skirt-chasing plays well off of Claude, and to be honest, most of the cast he interacts with. Jovial interactions are always sure to seem more interesting until drama and character development come around. Despite this, Raz did have some more sombre moments. It certainly surprised me he was just as shaken as his comrades when they saw an Empire soldier choosing death over dishonor. Kai Schulen felt a little bland initially, and it was hard to pin down exactly what sort of personality she had. She was kind and considerate, but was much more serious during combat. Other than a mystery hinted about her name, the only thing that got my attention was her uniform. Such as her fox-like hat and… Other areas. Over time, her lack of quirks ironically made her stand out. She came across as more normal and therefore, more human. I suspect Minerva Victor will eventually be a tsundere love interest. In the game she showed little to no endearing traits. Once she was revealed as acting as the squad’s drill instructor for training, her rather harsh personality made a better fit. After unlocking a bonus mission that took place later in the game, I discovered she does become playable. I am sure she will soften in the full game, but she never appealed to me in the game save for how good her abilities were, and confident boasts as her Potentials activated. Riley Miller started as a bright and bubbly inventor who got into the army thanks to her engineering. Her voice actress brought an energy and joy to the role, and it was a breath of fresh air after the subdued Kai and lack-lustre Minerva. Which perfectly set me up to be caught off guard to her attitude towards a certain character. 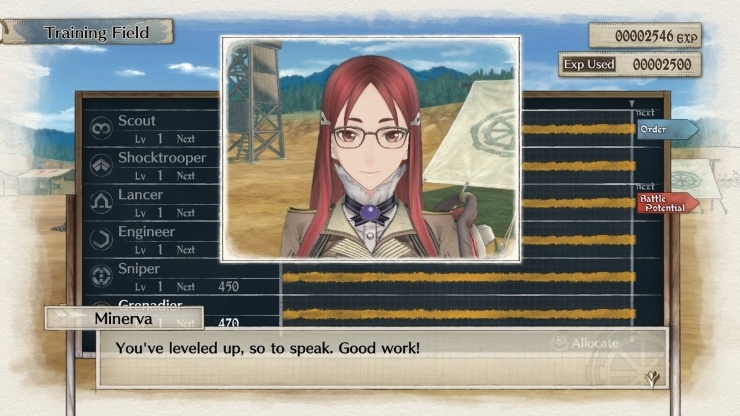 I did not expect her to always be a ray of sunshine in a game that touches on the horrors of war, but it genuinely surprised me that her character had depth this early on. The voice actress’ emotional range certainly helped as well. Calude’s tank is driven by Miles Abegg. A little weak-willed, he comes across as a background character, even more than you would expect for a character you never see on the field. Miles is not even the unit you see and who talks when selecting the tank. The only time he comes to life is for his passion for technology and R&D, where he winds up chiming in as you develop new weapons and armor. 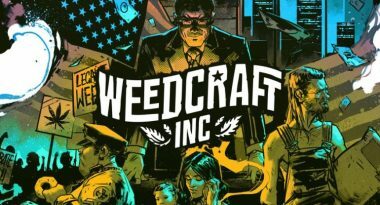 The squad has a wide variety of quirks and personalities that can tempt you away from using the right person for the job, and going with who you like best. You do not get the introductory dialogue with the soldiers you start with, and that lack of impact does harm their chances of standing out. All subsequent soldiers do introduce themselves once they are unlocked. While I do not think anyone will ever stand out like Jahn Walker from the first game, I have developed a cadre of regulars I like. No one has ever felt like a weak link so far, other than out of personal taste. There’s plenty of characters here for everyone. I got a rush of nostalgia from the moment I started the game. The confirmation jingle, the graph-paper menus, and the old-fashioned style maps in command mode before rushing down to a unit’s level when you give it an order. The radio chatter of allies and enemies alike cheering and lamenting. 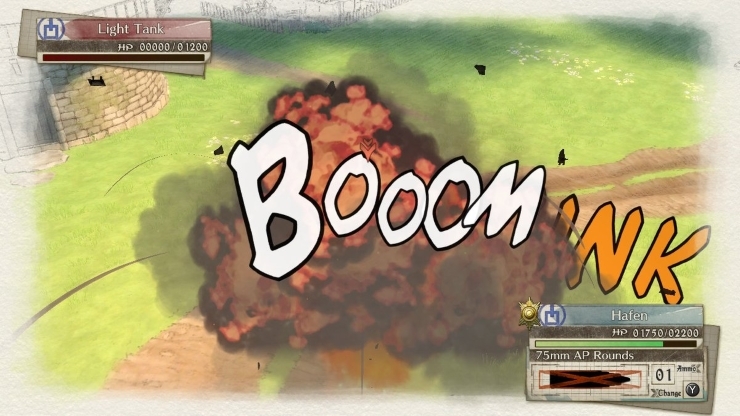 The comic-book style sound effects appearing in mid-air. The ability to save between cutscenes so they never feel like they last too long, and quickly realizing having to ask the story to continue can be just as much a nuisance. The satisfying ding of a headshot, the “Imp” soldier’s bodies ragdolling through the air after, and the giant cloud of smoke and fire when you blow up a tank. It all took me back. War never changes. The gameplay is exactly what you would expect if you played the first game. You have a series of command points to spend each turn to command individual units around the battlefield. When you give a unit an order, you swoop down from the over-head view to a third-person view and control the soldier directly. Enemies shoot at you with interception fire if they see you. 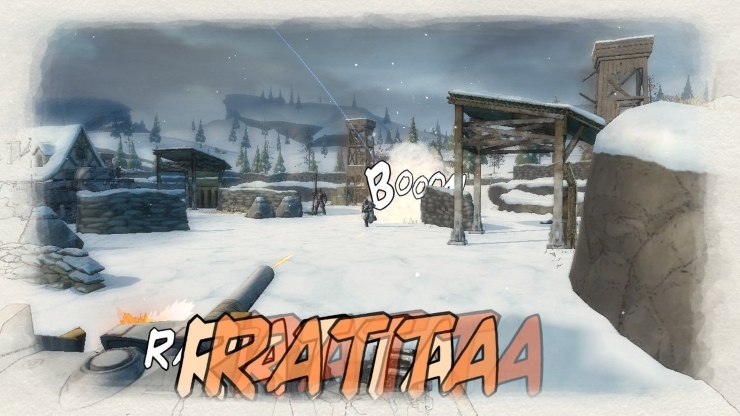 Their bullets fly past until you take a shot- freezing the action and giving you time to line up your shot. You can give the same unit orders over and over, but they move less each time. You can also spend command points on special orders to buff a character, or retreat. After your turn is done, enemies then attempt to do the same under similar conditions. With superior numbers and taking advantage of starting in better positions. On top of this, your squad has “Potentials”- passive buffs and debuffs that can occur at random or under specific criteria. You might have someone who will not be able to move out of panic if he does not kill an enemy with his attack, or someone who loves nature and gets extra defense after walking on grass and dirt. When you complete a mission, you get EXP and money based on your mission rank- with the highest rankings earning you the new accessories to equip to characters for extra stat boosts. Money goes toward R&D for new equipment and tank parts, while EXP levels up everyone of the same class- sometimes gaining new orders to give or Potentials for individuals. For those familiar with the “scout rushing” tactic, it seems to be back. When your mission is to capture an enemy base, you can use the far-moving scouts with some clever movement or better gear to kill only what need to and take the enemy base in one turn. This ends up being more than sufficient for an A-Rank. Usually this can only be pulled off once you know how a mission goes, and where enemies are. In addition Aces are back- hidden named enemies that net you special weapons if you kill them. This essentially means, you conquer a map three times. Once the first time when you have no idea will happen. Once while looking for an ace. And once attempting to get the best rating. No matter what I found scouts the lynch-pin of what I wanted to do, even when not abusing scout rushing. After a few attempts and restarting whenever someone died, I was still getting A’s. I must emphasize these are early missions and side-missions, and I only had access to Normal as the highest difficulty. The bonus mission that takes place later in the story required me to use a lot more of my squad to keep my scouts safe. Scouts take a lot of damage from enemy interception fire, so you have to avoid a hail of bullets to use them effectively. 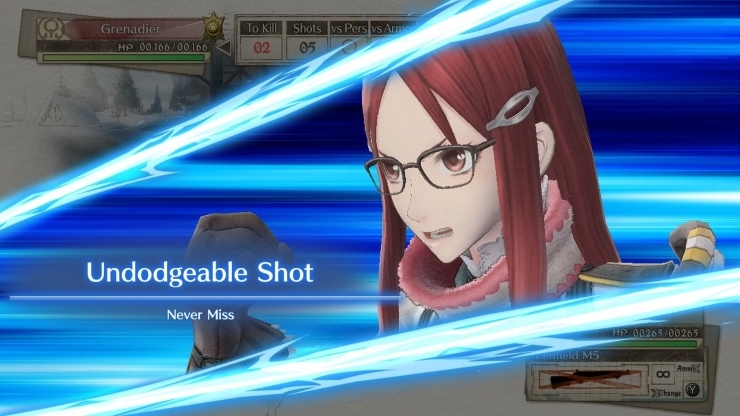 Nonetheless when Minerva became playable, I discovered she had Potentials to boost her defense and even heal herself. I am hoping that for later missions the scout-rush tactic is not overpowered or requires heavy support from other classes to pull off. Though Minerva may already have dashed those hopes. Along with Scouts you get Shocktroopers who are armed with machine-guns and better in an out-and-out gunfight. Lancers who use rocket-launchers to hit tanks in the weak-spot. Engineers who can hand out ammo, revive allies, fix tanks, as well as carry more grenades. And Snipers who do exactly what you expect someone to do with a sniper rifle. New to this game is the Grenadier class. 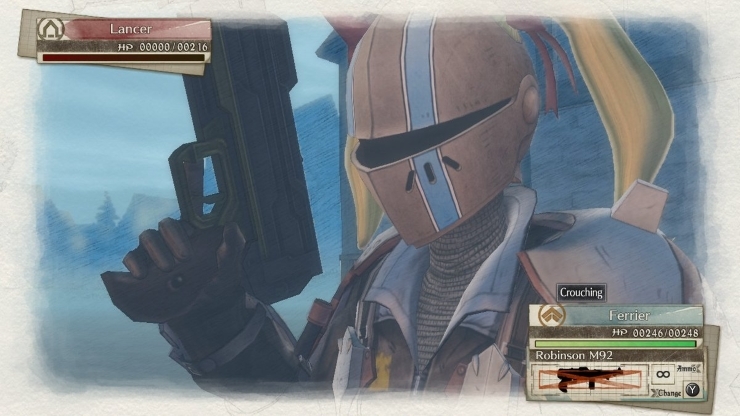 Grenadiers have a high arcing mortar shot with as much fire-power as a tank’s. This lets them shoot just behind enemies crouched behind sand-bags, negating their defenses. This also lets you hit areas too high for your tank, or even too far for your snipers (as damage from bullets gets exponentially weaker beyond a certain range). They even take pot-shots at enemies during their turn, forcing them to weave around the blasts and spending more of their movement points. Their only downsides is that they do not move far, which is hardly an issue as they designed to hang at the back or behind unbreakable cover. Enemy Grenadiers are surprisingly tough, as their interception fire hits hard unless you weave as you run. A dead on-hit even lowers you speed, if losing half your health in one go does not kill you outright. The AI seems to get the best of avoiding the worst of interception fire, while you cannot afford to stand still and shoot if you can still hear a mortar whistling through the air. They are a welcome edition for you and enemies, and they prevent you from abusing the aforementioned scout rushing until they are dealt with. Sadly the best method I found to dealing with them was to send in scouts, weave as I ran, and shoot them in the face from a few steps away. Another new edition is Morale Boosts. 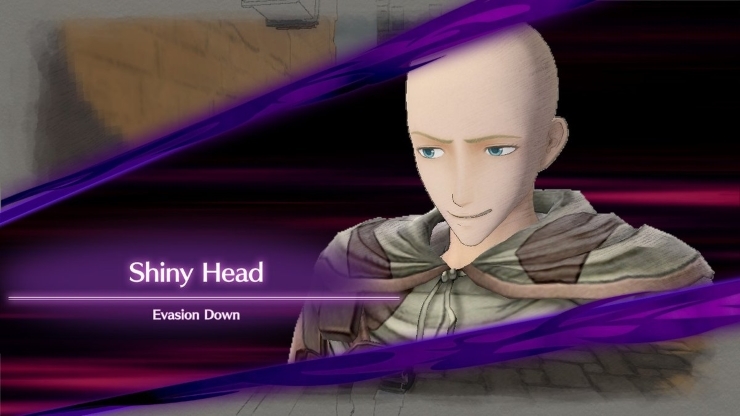 When one of your units defeats an enemy or seizes a camp, it could gain a buff to their evasion and a greater chance for positive Potentials during its next action. While it can be tempting to use them straight away, it also makes them great for holding a position- since they can fire away at approaching enemies but have less chance to be hit when they shoot back. The buff lasts until that unit takes its next action, so it is great to wait until they can take advantage of it. Unfortunately the chance of it activating is random, let alone banking on a specific unit getting the buff. Knowing how the previous game worked, you may simply get an order that commands a unit to have a greater chance of activating its potentials anyway. One of the few gripes I have on usability is how you equip gear before a mission. You can select who starts the mission, and can call in reinforcements from any camp. To my chagrin, not only can you not change a unit’s equipment from the deployment screen (along with being unable to get a proper explanation to some of their Potentials), but the separate screen listing all your units does not list which units you have selected to go into the mission. On the one hand, I can see the logic behind it. Since you can call in anyone as reinforcements, odds are you may plan to bring in more units than the default you start with. Not to mention it is hardly a task to remember the name of the units you plan to bring in and check their gear in the other menu. It is still a little bit of a nuisance that you have to get used to. The missions I played all had something new that the first game did not. I had to assault a castle, only to be greeted by soldiers on machine gun turrets on high walls. This is where the new Grenadiers came in, as they were out of range to both my Tank and snipers. A later mission had me identifying tanks from decoys in thick fog. Both of the aforementioned missions came in two parts, where the initial objective quickly changed once it was met. From taking a camp I then had to assault the turrets. From finding the real tanks among decoys in the fog, I then had to hit signal towers so artillery knew where to shoot. While they felt like two missions smushed together on the same map (usually when the second part started all your units were repositioned to the new camp), it kept me on my toes and made playing the mission the first time more engaging. The CANVAS graphical engine makes a return. The scene always looks like it has been painted onto canvas, yet this subtle texture never takes away from other details like rough metal, fuzzy trim on clothes, or soft leather. It looks just as nice as it did in the first game, if not a little better. While the first game was a PlayStation 3 game, I do not mean it as a back-handed compliment. Still, there are times I did see some stumbles. In a rare moment I did see how the terrain textures were tiled when the camera zoomed in from over-head to troop eye-level. It did occur in an area with a lot of wide-open fields, and no other maps I played had same issues. Long hair also frequently clips through clothes. Lip-synching is non-existent, but sufficient. In dialogue box cut-scenes the mouths cycle through a sequence of various shapes while the voices play. 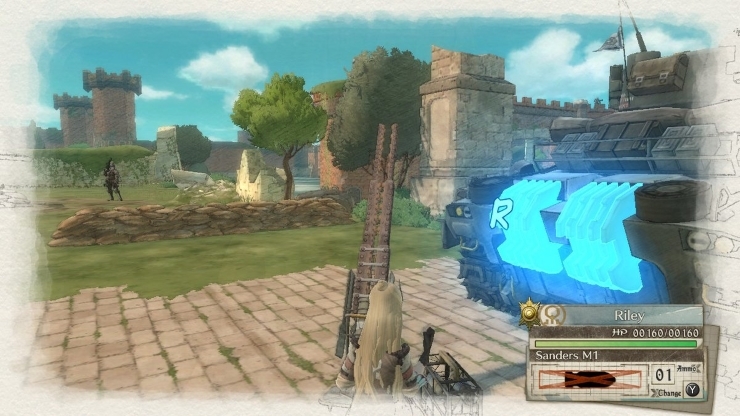 In pre-rendered cut-scenes, the voice clips also rarely “fit the flaps”. It sounds incredibly insulting, but it is par for the course for dubbed Japanese games. I hardly expect them to re-render all the animations to lip-synch perfectly, and it was never so much an issue that it took me out of enjoying the game. Another such nit-pick is one moment where characters have to shoot a signal tower to change the panels to specific sequences of numbers. When I shot the panel, instead of it spinning around it just changed texture in a blink of an eye. It looked really cheap. Yet, when tanks explode and leave no debris behind, I never minded. That moment just stood out like a sore thumb in an otherwise great looking game. On the Switch’s handheld mode, I only had two instances where a texture looked a little blurry (both during cutscenes), and one instance of dropping frames during gameplay (in an area of thick fog where distant characters are only rendered as an outline, and lots of characters were nearby). These issues did not occur while the Switch was docked however. Comparing footage of the Switch and PlayStation 4 versions, the latter seems to have a slightly sharper picture. The biggest difference is that the when playing missions in snow, characters will push snow aside as they walk, leaving a trail behind then (but not individual footprints). This did not happen in the snow-based mission I played on the Switch while in hand-held mode. 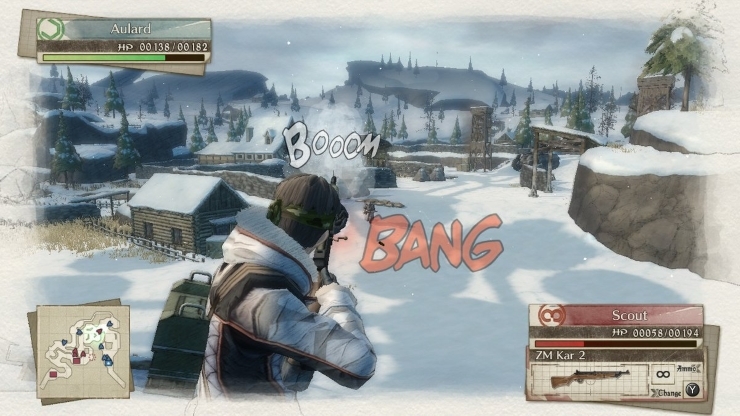 Impacts with grenades and mortars did leave a large flat clearing of snow on both consoles- and handheld on Switch. As a side-note, the Switch version does not allow recording of videos, only snap-shots. The music all sounds orchestral and sweeping. Each piece brilliantly captures a sense of adventure, whimsy, tenderness, or panic; depending on the scene. The music that plays during your turn is triumphant and driving, while the Empire’s turn has ominous marching music. I feel like it is going to be the sort of music that fits perfectly, but falls just shy of the recognition it deserves because it lacks catchy earworms. Not that the soundtrack needs it in my opinion. This time around, you will also hear the sounds of battle more often. The missions feel like part of a larger conflict as you can hear distant gunshots and explosions. Once or twice I even thought an unseen enemy was firing at me, only to realize it was background noise. It is a welcome addition that made everything more believable and kept the tension up. Even if no other enemies were near my units, it helped remind me they were not in a safe place. Dub voice work is great. No one sounded out of place, and I only immediately recognize one voice actor from another role they used a similar voice for. Then again, I do not religiously watch dubbed anime, cartoons, or keep tabs on particular voice actors. Everyone’s lines were delivered believably, with no poor “reads” and matching the mood of the character. Even the radio chatter from random allies and enemies was well done. Overall I really do not know who to recommend this game to based off what I have seen in the game. 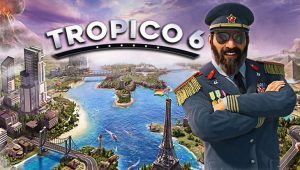 If you have never played the series before, I do not see why you would not play the first game. 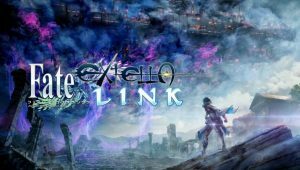 It plays almost identically to this new entry in the series, and even the newer release will be cheaper due to being an older game. If you are veteran from the first game, you have the burden of knowledge. Once you how a map plays out, you know how to blitz it in a few minutes with a quirky scout acting as a one man army (or one woman army). You already have the answer to getting an A-Rank. Then again, it seems like you need the help of your other units to pull it off this time around. In addition, you do not know where aces are hidden, or what the maps will throw at you during the story. The game has certainly made me more curious about the game. I certainly would be happy playing the full game based off what I saw. However I am not sold enough to be desperate to get the game ASAP. I joked earlier that war never changes. 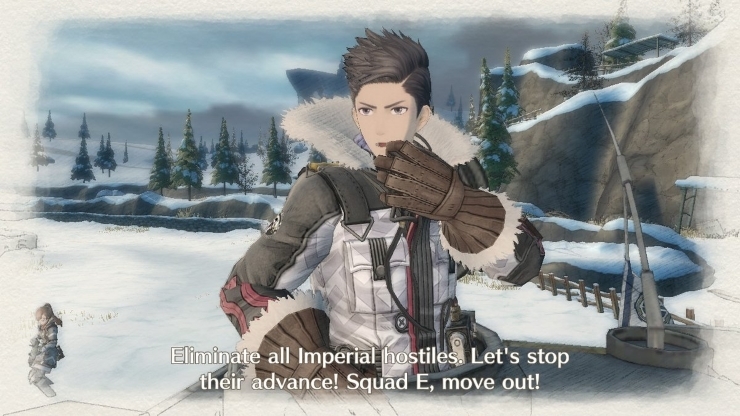 If you are happy for more of the same with new characters and a new story, I think Valkyria Chronicles 4 is shaping up to be exactly what you want. 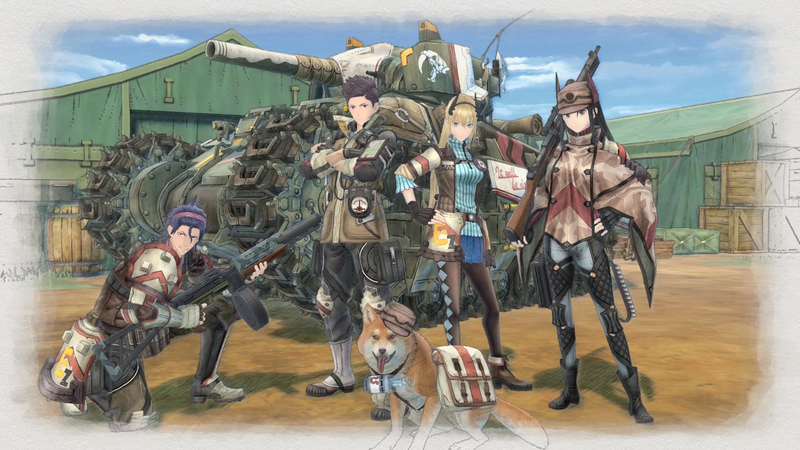 Valkyria Chronicles 4 is launching across Windows PC, PlayStation 4, Xbox One, and Switch on September 25th in the Americas and Europe. Expect our thorough review for the game forthcoming.